It seemed fitting to add her comment on Quentin's 8th birthday - as you see every day that there really is no freezing time while you watch your kids grow up. Hi there. Just read that you are looking for a way to satisfy your kid without slaving away at the stove and oven for hours to make a basic gravy. I can understand this as I was just told to make a 3/4 gallon of that stuff for our unit's Thanksgiving luncheon. Canned or jarred gravy calls for you to boil water and mix the powder or paste in to it. That is exactly what our dear friends at Pope's and KFC do. And your mom has a lead when she says he will not know the difference since he seems to like the Pope's stuff already. Try the following: Heat up ready made chicken broth, add a chicken bouillon cube or beef broth cube (depending what flavor direction you want to go) and then add the instant gravy mix. Don't like the consistency? Add some cornstarch diluted in cold water. Don't like the color? Add food coloring. Round it off by whisking in a piece of cold butter. Season to taste. I was taught this by professionals who actually served this to the public. On the bright side they also taught me how to make gravy from scratch by roasting bones, scrap meat and veggies. Thanks, Rich. Now maybe others can benefit from your knowledge too! Little did we know how (very nearly) obedient we were being! Hi there, Mike from Fabjectory here. Thanks for writing about our service! One small point of clarification: the figures are actually made of plaster (not plastic). You forgot to mention my book! She's right. Her book was mentioned in the article too. And I didn't mention it. But not on purpose. Just because I didn't want to get in trouble with New York Times-types for reprinting too much of their articles. 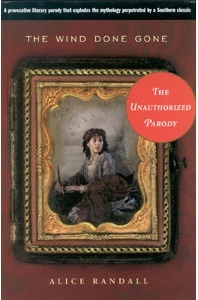 Five years ago, Margaret Mitchell’s estate unsuccessfully tried to block publication of The Wind Done Gone, Alice Randall’s unauthorized parody told from the perspective of Cynara, a slave whose mother, Mammy, was Scarlett’s nanny. I work for JWI and I cannot thank you enough for this post. I do want to clear up one thing, though (I think Glamour misquoted us a little bit): Rather than each donation sending a bouquet to one Mom, all Flower Project donations collectively go toward all the bouquets we send to about 100 U.S. shelters - one bouquet per shelter, for all the Moms who are staying there at the time. In addition, for each $25 donation, JWI sends a Mother's Day card to anyone the donor chooses. So for each $25 you give, you help us send flowers all over the country, and your Mom (or your grandma/sister/friend) gets a lovely card in the mail. Thanks again - we're proud and honored that you've helped us publicize this project! Thanks for clearing it up. (I'm obviously not always right.) ;) This sounds like a great Mother's Day idea. Amen to Muzak-free holidays! I never get tired of that Charlie Brown Christmas music... Here's something you might like. It's a roundup of the WORST Charlie Brown specials ever made. Did you know there was one special where they threw away all the Vince Guaraldi music, and used DISCO?! I found lurking around your blog to be very entertaining and grew inclined to write you only after reading #6 on your list of a hundred, regarding how you "remain fascinated by some of the search requests people use to find" this site. Your substantial blog returned high on the Google list after I entered "white pillars"+"biloxi". We were gathering information about the old restaurant for our own satirical "historical research" site. 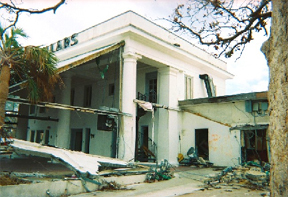 I've lived here in Ocean Springs (after growing up in Ft Lauderdale) for 16 years but haven't a clue in which year the White Pillars restaurant finally closed. Thanks for the interesting glimpse and keep on enjoying. And, John, interestingly, I also get a lot of hits from visitors looking for this Eggplant Josephine recipe from the White Pillars Restaurant, so there must be many out there who still remember it fondly. Thanks for the memories! My name is Jason Glaspey, and I'm one of the guys that started www.unthirsty.com, the happy hour finder. I noticed the other day that you wrote about our site on your everythingandnothing blog, and I wanted to say thank you very much. We're really excited about the site, and are so appreciative whenever other people find it cool or useful. It was literally started out of our own need to keep track of things, and saw other people needing the tool themselves. So, thank you for writing about it on your blog. I also wanted to solicit your help, if you are willing. One thing we are trying to do with the site is get more content added, and spread the word to more people. I'm hoping to hold a few contests in the coming months as well as adding several new features hopefully by Thanksgiving. However, the hardest thing for us to do is find new happy hours to add to the site. I was wondering if you would be willing to spur your readers into action, and encourage them to go out and add the happy hours that they know of. A blog in Texas put out an all points bulletin to his readers, and by the end of the day, their city had 35 happy hours added... I thought that was rad, and now I'm trying to ask people who find our site helpful to do something similar. The greatest thing about the site is that once the information is added, it's in there for good. So everybody benefits immediately. Also, as I mentioned, we're going to be holding contests in the future, and I'll be sure to let you know, as they'll be really easy to enter, and hopefully we'll have some great prizes to give away. I have used one of your images from the "Mississippi" group to illustrate a website I just created (http://www.squidoo.com/talksouthern/). I have given proper credit, under the rules of Creative Commons licensing, so people can browse your other images. And to show you how truly Southern I am, here are the Southern expressions he lists that I didn't even know were Southern. I thought they were just cool expressions. If you don't stop crying, I'm going to give you something to cry about.